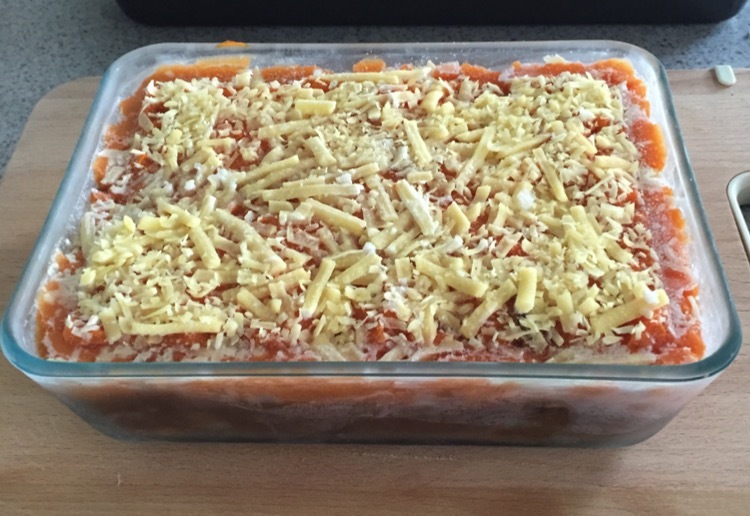 Home | Recipes | Sweet as Shepherds Pie! A great homage to the original! 4 Sweet Potato, boil and mash! Brown mince and onion, add garlic, add veges, cook for 10 minutes, add vegemite, chutney, tomatoes, herbs, and cook until thickened, may need to add some corn flour mixed with water if mix is too thick. will freeze easily at this stage - if you want to cook it, cook for about 30-40 minutes in oven at 180 degrees... Yum! Mmm the vegemite will be interesting to mix with all the other ingredients. I wonder if my son would notice and taste it in thus dish. He doesn’t like vegemite my daughter and I do. Guess I’ll never know if I don’t try. How interesting using vegemite! Yum this will be great served with silverbeet! Good thing I read the other comments , so will use 2tbl and more if needed. I always rinse the Vegemite jar out with the liquid I am cooking with when everyone has finished scrapping the jar. Awesome idea to use Vegemite but is it a total of 2 or 4 tablespoons in this recipe? Mmmm this looks yummy. I’ve never made shepherds pie but I love it so I really should give this a go. Thanks for the recipe. wow this is different – who would have thought to bung in some vegemite! Thanks for the recipe for your version of Shepherds Pie. Thanks for the extra info for the recipe. chutney is a great idea I have never thought of adding that. Also is it 2tsp vegemite as it is written twice? Sorry, I should’ve scanned further down the answers but I asked the same question a few comments above this. Sounds delicious. I don’t know the rosella chutney. So different with the Vegemite. A great dish for these cold nights. At least here in WA we are still in full winter! If you have IGA’s you will see it there. It is a great Aussie brand, and their garlic has no additives! I have noticed you have 2 tbs vegemite written twice is it meant to be only 2tbs or is it indeed 4. Also you have said that you may have to add some corn flour and water if the mix is too thick ..is this a typo and should read thin.?? Any how looks and sounds amazing and I will be printing this little beauty out and making a good batch up…Beef or lamb …Cottage or shepherds it’s a winner! Sweet As how appropriate and such a play on words and ingredients , you wouldn’t be a kiwi by any chance would you. Any how love my sweeeet pot. :-) cheers and thanks for the amazing pie. I love a delicious Shepherds Pie and the vegemite in it sound’s even better! Thanks!